There is a reason “Virginia is for lovers” is the travel slogan of the state of Virginia. 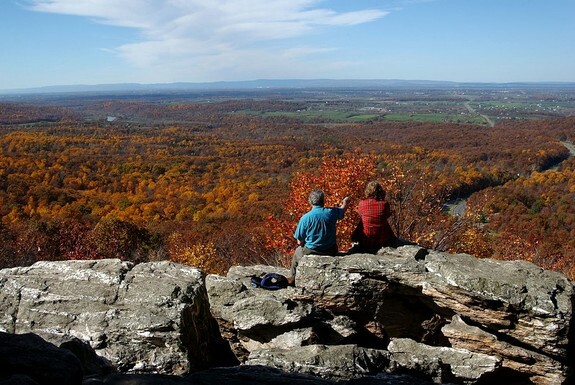 Shenandoah Valley abounds with diverse attractions making it easy to plan a romantic weekend or an outing with the whole family. Explore the Valley’s natural beauty, historic sites, museums, natural caverns and bridges, and a thriving culture of music, arts, and festivals. A historic town located in West Virginia, best known for John Brown's raid on the Armory in 1859 and its role in the American Civil War. Recommended by Larisa Moran Chancellor and Biblio Sparrow, Harpers Ferry has a lot of quaintness and places to be alone together. Charming bed and breakfast inns abound this historic town where couples can enjoy their time together. Admire the Potomac and Shenandoah Rivers, hike the historic lower town and the Appalachian trail, enjoy water activities like fishing, canoeing, kayaking, tubing, rafting, zip line and other natural outdoor activities. Discover the local battlefields, explore the vineyard tours and wine tastings, and just take it all in. 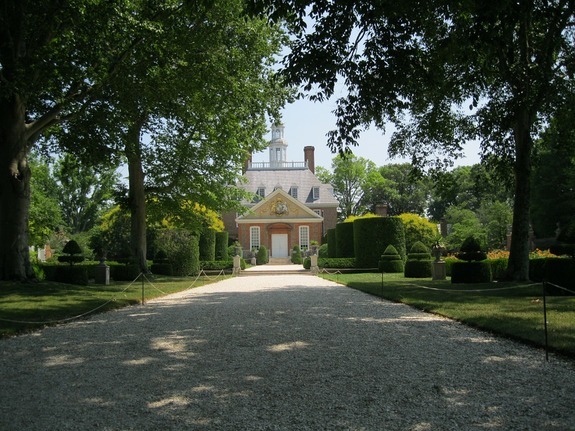 A popular spot for honeymooners, Williamsburg is a part of the “Historic Triangle” together with Jamestown and Yorktown. At the heart is Colonial Williamsburg, a living-history museum where daily Colonial life is depicted in the streets, stores, and workshops. When visiting, Jessica Sims recommends going to The Palace Gardens for a romantic stroll. Other popular spots are the Crim Dell Bridge and Sunken Garden at The College of William and Mary, America’s second-oldest college. Williamsburg has a wide variety of food and restaurants that couples will enjoy. As well as wine tasting and craft beer tours. 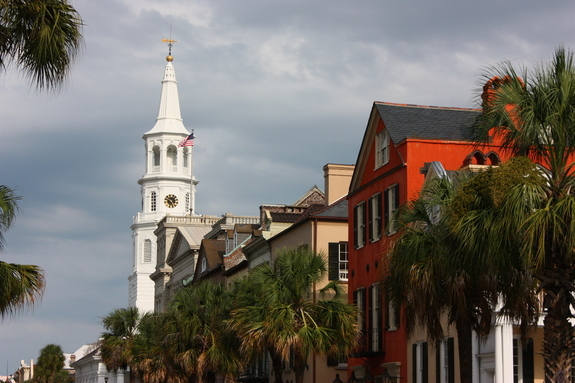 Known for its rich and colorful history, Antebellum mansions, good food, and best of all, friendly people, Charleston is a popular tourist destination. It has consistently received a large number of accolades from magazines and travel sites, including America's Most Friendly City, The most the most polite and hospitable city in America and World's Best City. Enjoy a romantic weekend by taking a private carriage tour in downtown Charleston, explore Charleston Historic District through the Gateway Walk and savor the delicious Southern fare that honor’s South Carolina’s culinary history. Savannah is best known for its manicured parks, horse-drawn carriage rides, and antebellum architecture. According to Ruth Anne Edmunds, recommended three romantic things including walking the remaining 22 Squares in the city. When taking this tour, consider getting a tour guide to better appreciate and understand the history of each Square. Another must-see is the Wormsloe Plantation, home to the breathtaking street adorned by live oaks and Spanish moss. In February, Wormsloe Plantation hosts the “Colonial Faire and Muster”, a living history event which highlights aspects of 18th-century life, such as music, dancing, crafts and military drills. Lastly, do not miss the Bonaventure Cemetery, one of the most beautiful cemeteries in the world. Designed as a traditional Victorian cemetery with curving pathways, plenty of trees and grassy areas. Free guided tours are offered every month. A large indoor/outdoor museum that showcases American ingenuity and resourcefulness. Learn and enjoy 300 years of American history with over 26 million artifacts on display. Rob Janusch recommends having a nice romantic lunch at the Eagle Tavern. Afterwards, take a relaxing stroll through the shops and the homes in the village. Sherry Hancock Dart says that a train ride, a horse-drawn wagon ride or a spin in a Model T should not be missed. "Without a doubt go to Mackinac Island in Michigan. No vehicles other than police/emergency. Horse-drawn wagons with a quasi-Victorian verisimilitude everywhere. If you want a glimpse of the Island, watch the movie Somewhere in Time with Jane Seymour and Christopher Reeve." Explore the beauty of the Island by renting a bike. The island boasts of over 70 miles of natural and paved trails which takes you the island’s most notable limestone features such as the Arch Rock and Sugar Loaf. A historic landmark inn that is reputedly the oldest operating inn in the country, opening as Howe’s Tavern in 1716. Recommended by Norman Legault, Wayside Inn offers a classic New England experience any time of the year. Couples can explore the private grounds filled with gardens, charming buildings, and historic spaces. Walk the fields and trails, explore the Longfellow Garden, tour the inn, mill or schoolhouse, or sit for a romantic picnic lunch next to Hop Brook. According to Heidi Sjoblom Croddick, who recommended Washington D.C., exploring the monuments at night can be very romantic. 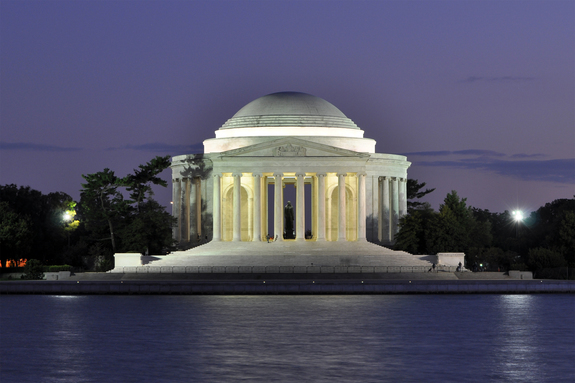 Karie L. Kennedy suggests visiting the Jefferson Memorial during the cherry blossom season. 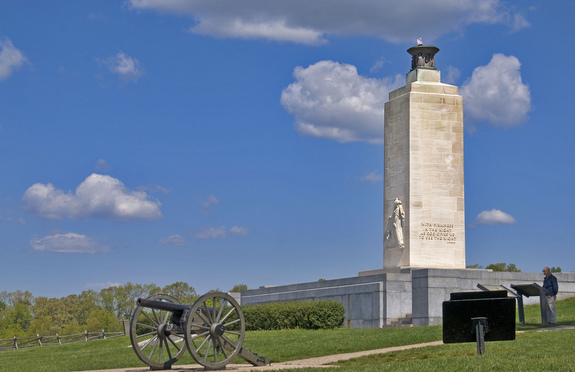 The Eternal Light Peace Memorial is a 1938 Gettysburg Battlefield monument dedicated on July 3, 1938, commemorating the 1913 Gettysburg reunion for the 50th anniversary of the 1863 Battle of Gettysburg. As recommended by Sherry Hancock Dart, the Eternal Light Peace Memorial is perfect for a laid-back getaway. Enjoy the peaceful and relaxing view of this memorial, takes lots of photos and watch the magnificent sunset. Founded in 1565 by Spanish explorers, St. Augustine is the nation’s oldest city. History lovers will enjoy exploring the historic sites and museums that abound in The Ancient City. Search for the famous Love Trees of St. Augustine, take a tour of the city by horse-drawn carriage rides, take part in a ghost tour or simply stroll through Aviles Street, the oldest mapped street in the United States, there are plenty of things to see and do for a romantic getaway in St. Augustine. Fort Ticonderoga is a large 18th-century fort built by the French at a narrows near the south end of Lake Champlain. The fort was of strategic importance during the 18th-century colonial conflicts between Great Britain and France and during the Revolutionary War. Located on Fort Ticonderoga’s historic landscape is one of North America's oldest gardens and the largest public garden in the Adirondack and Lake Champlain region. 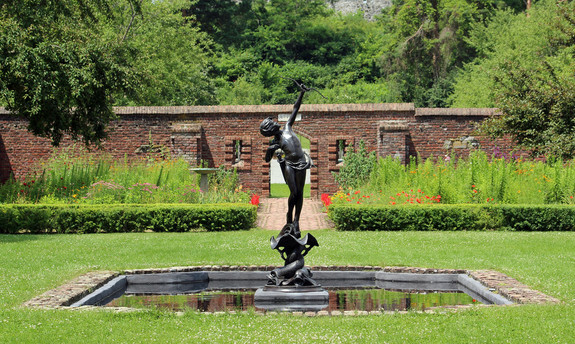 The stately King’s Garden recreates the estate’s Colonial Revival garden of 1921, incorporating brick pathways, teahouse and the reflecting pool with 32 colorful flower beds and a historical herb Garden. The Palace of Versailles, or simply Versailles, is a royal château in Versailles in the Île-de-France region of France. Renowned internationally for its beautiful Palace and gardens, Versailles is a majestic French city with deep royal roots. 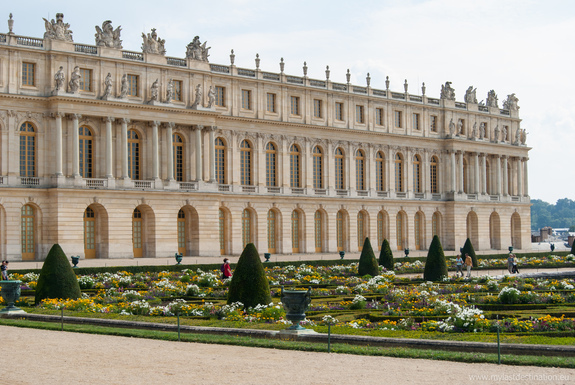 Recommended by Kate Lo, The Palace of Versailles is one of the most popular attractions in Europe. Couples can explore and admire its architectural grandeur and rich cultural heritage, stroll along the Gardens of Versailles, witness diverse performances in the Royal Opera, or plan a romantic and sumptuous dinner at Ducasse au Château de Versailles. Blenheim Palace is a monumental English country house situated in Woodstock, Oxfordshire, United Kingdom. The Baroque-style exterior of the Blenheim Palace is the perfect backdrop for your romantic date, with its secret garden, the pathways along the lake, rose gardens, and the gentle walkway down to the waterfall and multiple memorials/follies/monuments with benches and shade. Or, head to the Marlborough Maze with your partner, but be careful, otherwise you might be lost for hours. → Are there sites you think should be included here? Let us know in the comments below. More travel ideas and insider tips for history lovers.